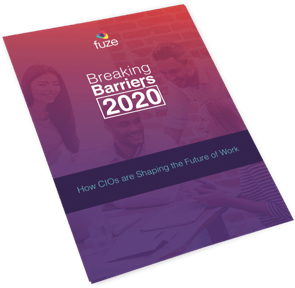 Visionary leaders are changing the game for the modern workforce. CIOs are taking on more responsibility within their organizations. They have become key decision makers who not only have a seat at the table but are relied upon to set an agenda for how technology can drive their organizations’ futures. CIOs’ investments in IT are doing a lot more than helping their companies get work done. They’re changing the way companies work. IT projects are supporting business goals and enabling business transformation. See the visionary stories in our latest report. of CIOs say IT's ability to innovate is critical to the success of the business. There's plenty in store for IT over the next few years. Watch our video to learn more about what CIOs are thinking. 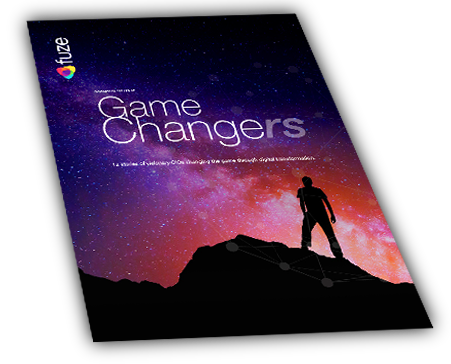 To be a game changer, CIOs must work with their organizations to meet their needs and find the right solutions. Want to learn more about moving from a cost center to an innovation driver? 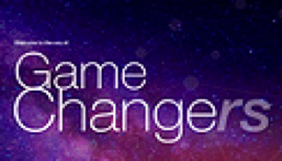 Our Game Changers Roundtable Series is coming to a city near you. Fuze is organizing exclusive thought leadership events in Boston, Chicago, London, Paris, New York, and San Francisco throughout 2018. Each roundtable event will include an industry expert to moderate the discussion among IT leaders about the future of work. Leading CIOs are driving change within their organizations. 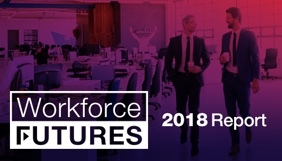 Ready to learn more about the future of work? Read our research, Breaking Barriers 2020.